But getting to the trapeze artist again proves far more complicated when a friend of the performer is mistaken for the trapeze artist and murdered. Then before Frankie’s and an audience’s eyes Ebony uses a performance to disappear. 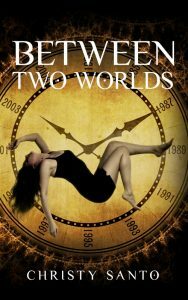 More determined than ever Frankie, with the help of two circus artists, digs deeper into Ebony’s life. What she finds leads her to a shadowy secret society with possible ties to the criminal underworld and glittering socialites. Could they be after Ebony or have the suffragette turned against one of their own? 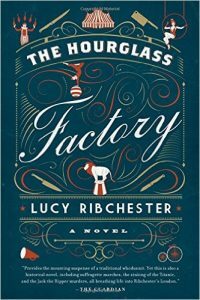 And this is just a taste of Lucy Ribchester’s début novel The Hourglass Factory. Ribchester created a fully formed character in Frankie as well as snake charmer and belly dancer Millie, shifty Liam, eccentric Twinkle, and the inspector caught up in it all – Frederick Primrose. She deftly uses them to tell a riveting and gripping story that also gives a reader an education on the suffragette movement, the leaders and followers in it, a peak into a secret of high society and much more. This well told story grabbed me from the first page to the very last!